The NBA is getting to roll into the weekend and roll into February. There is a big card lined up over the weekend and there were four games on Thursday night. The Pacers dealt with the Knicks in Indiana, winning by 103-82 and the Grizzlies were comfortable at home to the Nuggets, winning by a score of 99-69. The Bucks were in great form in Orlando, winning 100-115 and the Lakers edged out the Bulls in Los Angeles, winning 123-118. This is a game between two teams who come into the game on the back of a win, but this is a feeling that hasn’t been too common for fans of the Timberwolves or the 76ers this season. The Minnesota side are on the road with an 8-37 record, which includes a 4-19 record on the road. The 76ers are a bit better, but only slightly, in that they hold a 9-37 record, which includes a 4-18 record at home. Between them, these two sides have only managed to notch up 17 wins between them, a figure which is around half of the total delivered by some of the high flying teams. For average points scored, the Timberwolves are clear leaders, grabbing an average of 97.6 compared to the 89.5 average of the 76ers. With respect to average points allowed, the 76ers are meaner, offering up 101.5 compared to the 107.0 offered up by the Minnesota side. With respect to their last ten games, the Minnesota side have a 3-7 record and the Philadelphia team hold a 2-8 record, so this game is very much up for grabs. The Timberwolves are currently the poorest ranked team in the NBA but even they grabbed a win in their last outing, defeating the Celtics by a score of 110-98. 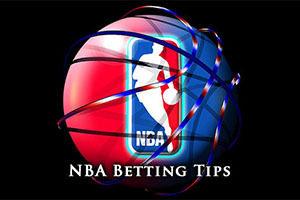 The 76ers managed a convincing win on Wednesday night, taking care of the Detroit Pistons by a score of 89-69. The 76ers only have Michael Carter-Williams to worry about, and he is being monitored on a day to day basis. The Timberwolves have more concerns with big doubts over Ricky Rubio and Kevin Martin while they also have slightly smaller doubts over Anthony Bennett and Mo Williams. Taking the 76ers with a +2.5 handicap, at odds of 1.90, is likely to be a good option if you are looking to add some fun to Friday. Bet Now! The Houston Rockets are on a winning streak of three, and the team knows what it takes to win games this campaign. They have notched up a 32-14 record so far this campaign and this includes a 16-7 record, home and away. There is a pretty symmetrical feel to the Rockets so far this season although of course, this will fall out of sync after their trip to Boston. They take on a Celtics side that holds a 16-28 record and this includes a 9-13 record in Boston. When it comes to the average points scored, there isn’t much between the teams with Houston grabbing 102.9 and the Celtics offering 101.8. With respect to average points allowed, there is a more notable difference, with the Rockets giving up 98.9 points and the Celtics allowing 103.7. The Celtics lost their last match, and have a 4-6 record in their last 10 games while the Rockets three match winning streak has helped them to grab a 7-3 record in their last ten outings. Although the 99-94 win against the Mavericks on Wednesday night may have been a bit too close for comfort for some Rockets fans, there is a lot to be said for a team that managed to serve up 47 points from reserve. Also on Wednesday night, the Celtics were in Minnesota when they were a bit limp, going down by a score of 110-98. Dwight Howard and Terrence Jones are likely to be doubts for the Rockets while the Boston side is closely monitoring Avery Bradley, Shavlik Randolph and Evan Turner but these three players all stand a better chance of playing than the two main injury doubts for the away team. It could well be a close one in Boston but even with a handicap of -6.5, you have to think that the Rockets are good value at 1.90. Placing a bet on the side from Houston could well provide you with a strong return on Friday night. Bet Now! While things are slightly sticky for the Trail Blazers, they have had a great season so far and if they can just get a run of form kick-started again, there is still a lot to be optimistic about for their season. A record of 32-14, including a 12-9 record away from home, is pretty impressive and most teams would be very wary of what they have to face when they come up against the Trail Blazers. This is maybe not the case for the Hawks though, who are probably only concerned about the pressure that they are placing on themselves at the moment. A 38-8 record, including a 21-3 home record, is a tremendous record, but when you win 17 games in a row, you have the right to feel confident about yourself. The Trail Blazers lost their last outing, and hold a 4-6 record in their last ten games, but they know that a win in Atlanta could transform their entire campaign. There isn’t a lot between the teams when it comes to average points scored and allowed. The Trail Blazers have notched an average of 102.8 points while the Hawks have grabbed an average of 103.6 per game. With respect to average points allowed, the Hawks have given up 96.3 points while the Trail Blazers have given up 97.2 points. Paul Millsap was in great form on Wednesday night, grabbing 28 points and offering up 15 rebounds in the 113-102 win against Brooklyn on Wednesday night. Al Horford was another big player for the Hawks in that game, offering up 20 points, 10 boards and 5 assists. Also on Wednesday, the Trail Blazers lost a close game to the Cavaliers, who are also on fire at the moment, losing by 99-94. Nicolas Batum is a slight concern for the Portland side while Shelvin Mack is a bigger doubt for the Hawks. The Trail Blazers will be keen to push the Hawks as far as they can which means taking the Blazers with a +7 handicap, at odds of 1.90, is likely to be a solid Friday bet. Bet Now!